Lots of office hours, lack of sun and relatively bad diet (don’t judge ) left my skin very dry, sensitive with a mild windburn and a severe lack of luster. Is hard to love the winter from skin point of view. to include in my night routine that is super calming, soothing and hydrating and doesn't wimp out after a little while. 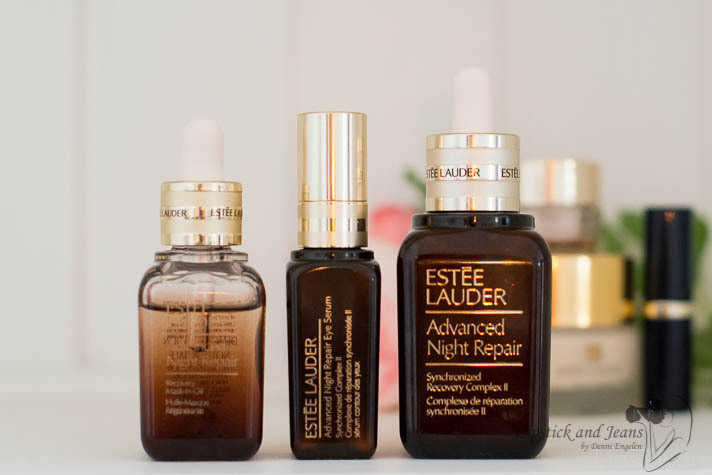 Is no surprise for me that I found the answer at Estée Lauder counter, I have been using for years the Advanced Night Repair serum, is one of my addictions, and over the years I always come back to Estee products knowing that they always have something that works for me. When the girl at the counter suggested me Advanced Night Repair Recovery Mask-In-Oil, I must admit I was a bit skeptical, mainly because of the packaging. It looks like a smaller bottle of Advanced Night Repair Recovery Mask-In-Oil slightly more light colored and a bit sheerer. But I was surprised by the texture of it, an oil that is so silky and not oily at all and left a beautiful glow (to the back of my hand). As I wasn’t yet decided, I asked for a sample to try at home. To my surprise it worked from the very first use, by morning my skin looked dramatically better and even had a little bit of glow. So I went back purchased the mask-in-oil, and I'm using almost every night it ever since. 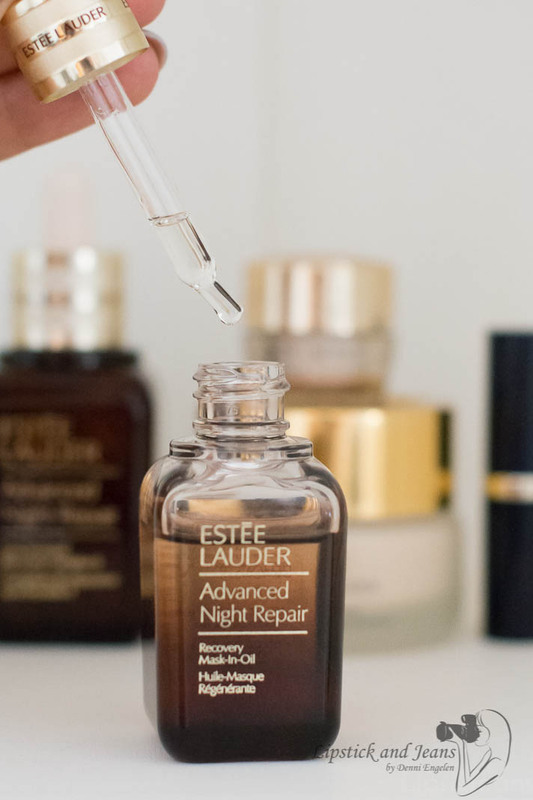 Launched at the beginning of this year, Advanced Night Repair Recovery Mask-In-Oil as a new member of its Advanced Night Repair product range, Its primary purpose is to help seal in all benefits of the ANR serum, thus promoting a highly efficient, nighttime skin recovery. What is Advanced Night Repair Recovery Mask-In-Oil? A nourishing and lightweight oil that envelops the skin in a protective layer to increase the effectiveness of their Advanced Night Repair Serum. Its primary role is to strengthening the skin’s protective barrier by supporting the filaggrin and increase the hydration level of the skin. What type of skin is this for? Suitable for around the eyes skin? No, I tried that and (man does it sting) I got my eyes irritated. Rinse well with water if happens. The smell of the oil is delicate sweet floral and a bit omega-ish, don’t know if this makes a lot of sense but it kind of smells like the omega 3-6-9 ampoules. Not so strong, though, but the scent is there. Now on the bright side, the smell doesn't linger and is not a strong one either. But if you don't like scented skincare this one might not be for you. 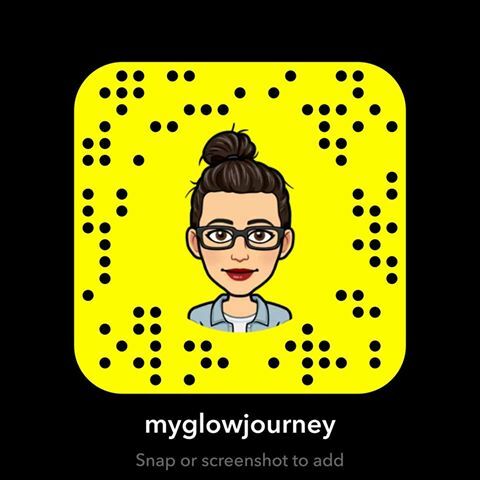 For me this was a product that delivers, my skin feels softer, smoother, plumper and since I use it, I got quite a few compliments on how radiant my skin is when I was wearing nothing than my bare skin. Pretty up there in price, and it seems to be quite the same formula with Advanced Night Repair Intensive Recovery Ampoules. Plus size you have more product in Advanced Night Repair Recovery Mask-In-Oil but over the time might be less efficient than Advanced Night Repair Intensive Recovery Ampoules. Don’t know just saying, love the fact that ampoules are one dose protected by a shell, the bottle you keep open and close it one time a day. There is always a bad and good in everything, but seriously aside from the price or the very alike formula, I don’t see anything bad about. 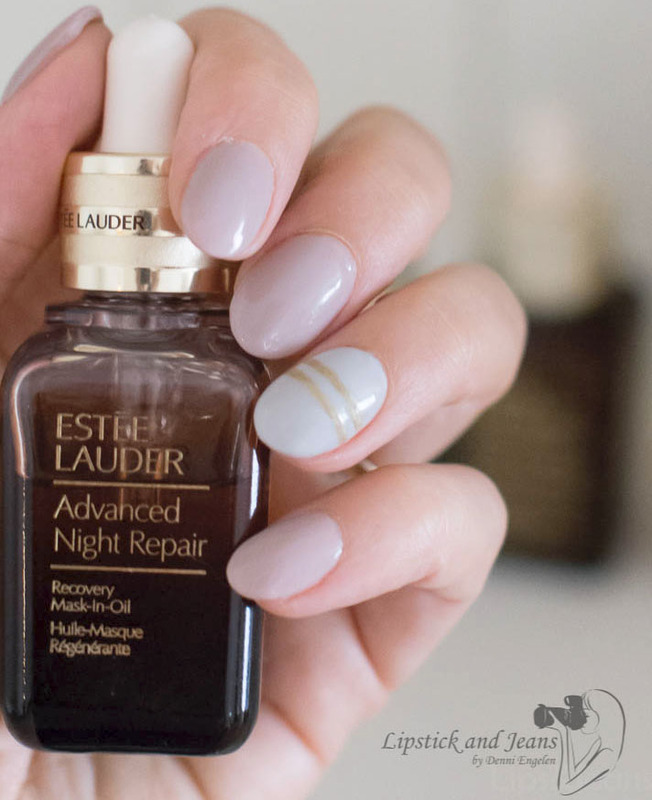 You might not want this product if you already own the Advanced Night Repair Intensive Recovery Ampoules or if you don't like scented skincare. What else would you like me to review for you ? Hello, Denni. What a thorough review. I love the photos too. You sold me on this product. I like the fact that you included your experience with applying the oil during day time and applying it to the eye area. Keep up the excellent work! Thank you so much :) means a lot to me ! I have actually used this before, and loved it! I need to start using it again! It definitely sounds like something I should be using. When the weather is dry, the skin needs extra pampering and this looks like a great addition to my daily routine. I know this post was about Estee but, your nails stole the show!! So gorgeous!! But back to the product, I LOVE that you mentioned your dislikes to. Often other reviewers are not completely honest, but you kept it real! Thank you! I will be trying this product, like you said it is pricey but based on your review I am going to try it out! I have been enjoying Estee Lauder products for years. Thanks for the review. The price is worth it when the product is such great quality. It sounds really great! 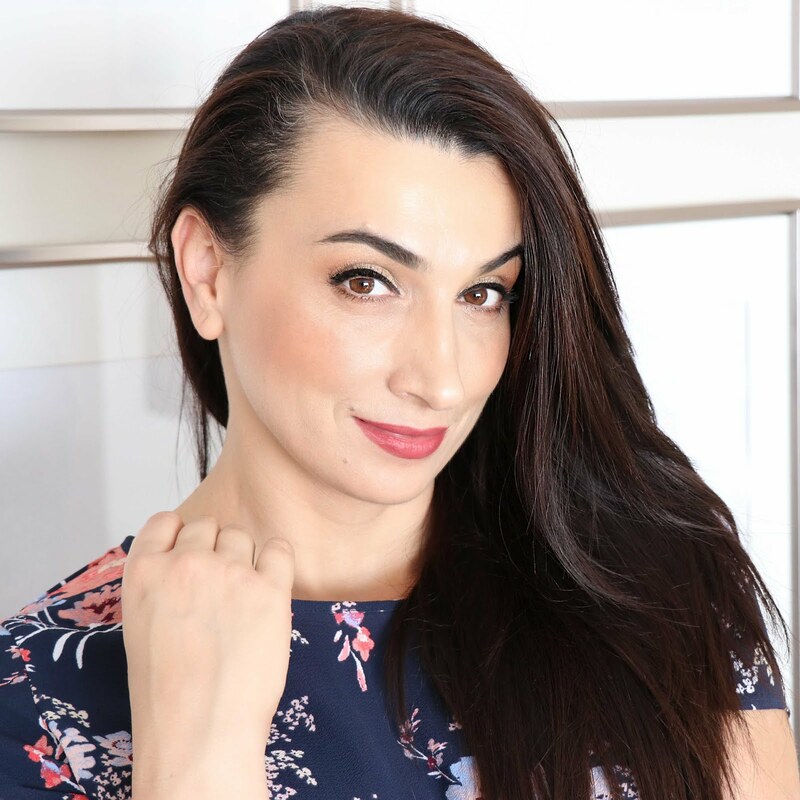 My skin was also in pretty bad state towards the end of winter, but I did a cure with some vegan cosmetics and vitamin C and it was like a miracle, in 4 weeks my skin recovered completely! I love Estée Lauder products but their prices force me to look for alternatives. You are very thorough in your review, which is really nice! Thanks for sharing! My sister in law is always covering her face on a night. She would love this night repair recovery mask - it would make a great gift. I will have to keep this in mind the next time I'm looking for some new skin products to add to my routine. My main problem area is dryness, staying hydrated is always a challenge! I'm glad to hear that Susana !